One Tree apartments is an eight-storey new apartment building located in Sippy Downs on the Sunshine Coast. There are 72 two and three-bedroom apartments for sale, all of which have been designed to suit young professionals and families due to the demand by these groups. 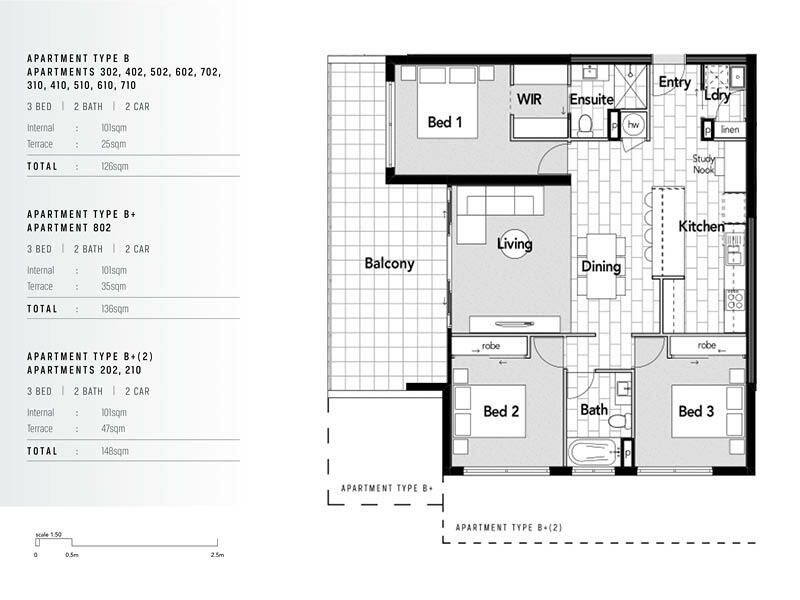 72 two and three-bedroom apartments starting from $347,900. Located on High Street in Sippy Downs. As construction has commenced, there is currently no display suite available for One Tree Apartments. 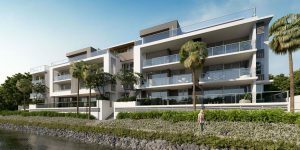 Developed by Habitat Development Group (HabDev), One Tree apartments have been specifically designed for the Sunshine Coast property market. Prices for apartments start at $374,900 for a two-bedroom apartment and $446,400 for three-bedroom apartments. Currently under construction, these larger than normal, off-the-plan apartments are expected to be completed late 2019. The exterior of the building is designed with stone and timber accents and the site will be landscaped with dense, sub-tropical gardens as well as a green wall on the rooftop. There are two lifts as well as a stairwell at each end of the apartment building. There are also 18 visitor car parks available. Construction for One Tree Apartment commenced in August of 2018 and is scheduled to be completed in the third quarter of 2019. Please check back with us regularly to see updates on construction at One Tree Apartments. One Tree apartments are located on Sippy Downs’ High Street, just over 600m away from the University of the Sunshine Coast. 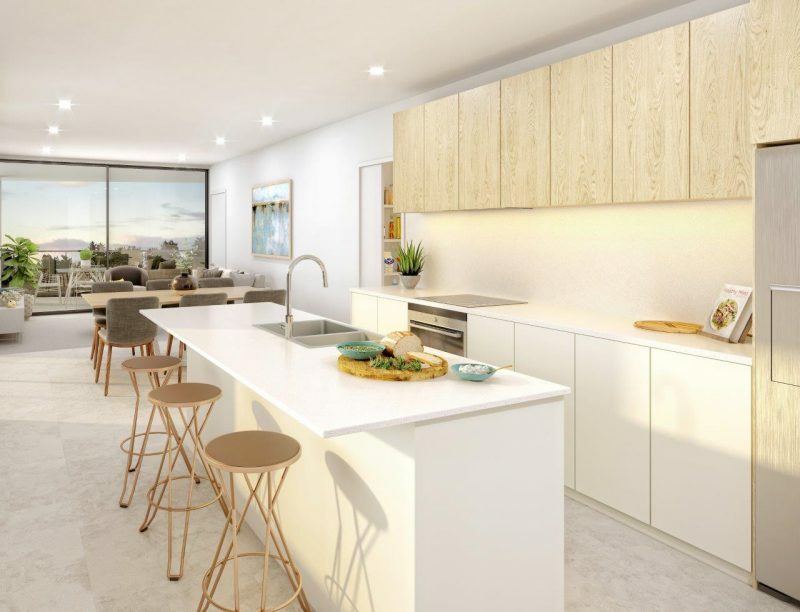 The development’s proximity to the University of the Sunshine Coast and a number of schools is part of its appeal to families and investors as well as accommodation for university students. The apartments are also under a kilometre away from Sippy Downs Town Centre, which offers several restaurants and dining options as well as a large Coles. 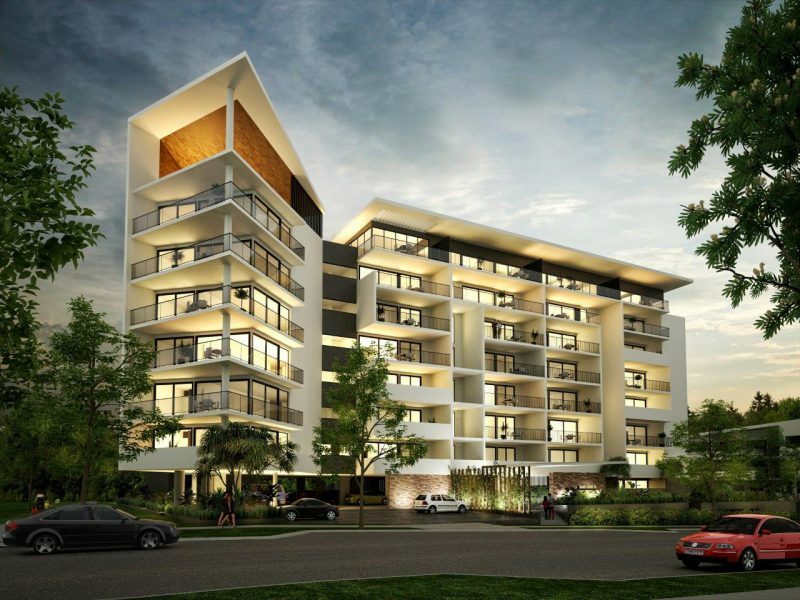 One Tree apartments are located only 12km, or 15-minutes drive from the location of the new Maroochydore CBD. For more information on Sippy Downs, check out our Suburb Profile. 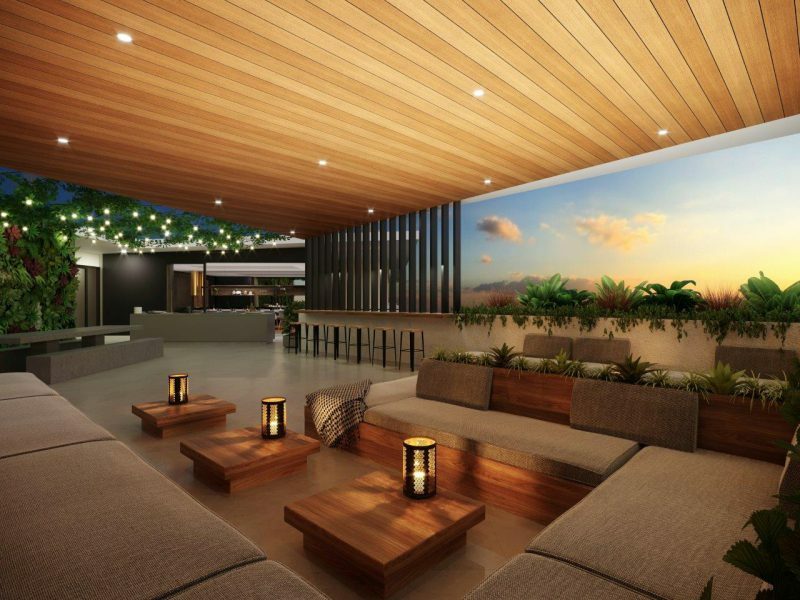 There is a stunning rooftop area at One Tree apartments which is available for the use of all residents. 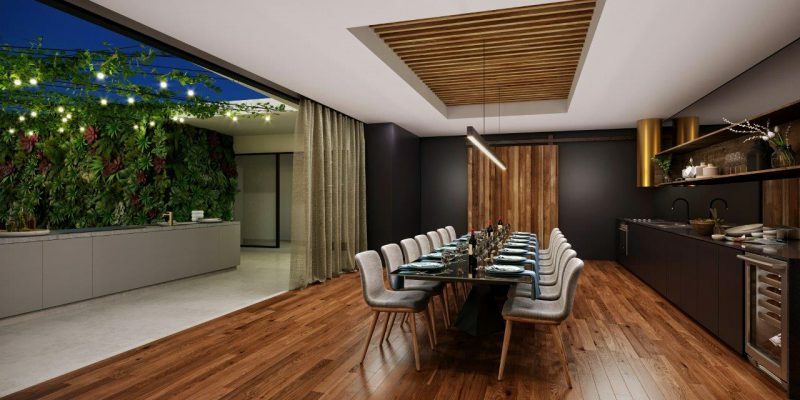 This exclusive rooftop offers a private dining room and undercover lounge area with full kitchen facilities, making it perfect for entertaining a large group or just a quiet sunset wine. From the rooftop, there will be 180° views of the Sunshine Coast hinterland and coastline. 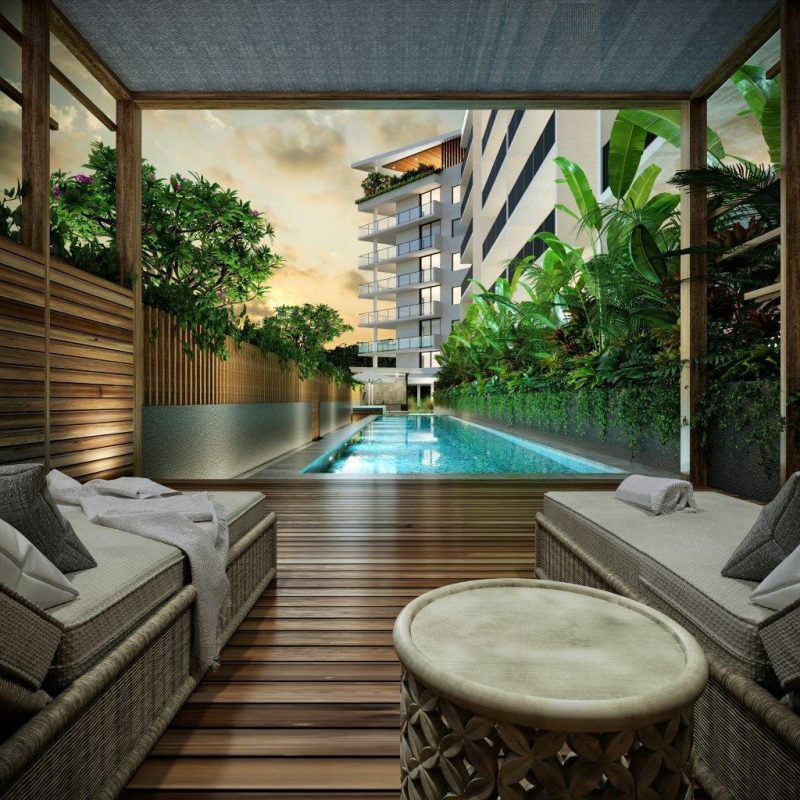 On Level 1, there will also be a communal swimming pool set amongst luscious sub-tropical gardens. As well as the large pool, there is an intimate pavilion as well as terrace seating and a BBQ area. Of the two and three-bedroom apartments available at One Tree, all have balconies of over 20m², some ranging up to 50m². The two-bedroom apartments are sized at approximately 90m² internally and the three-bedroom apartments range from 92m² to 115m² internally. 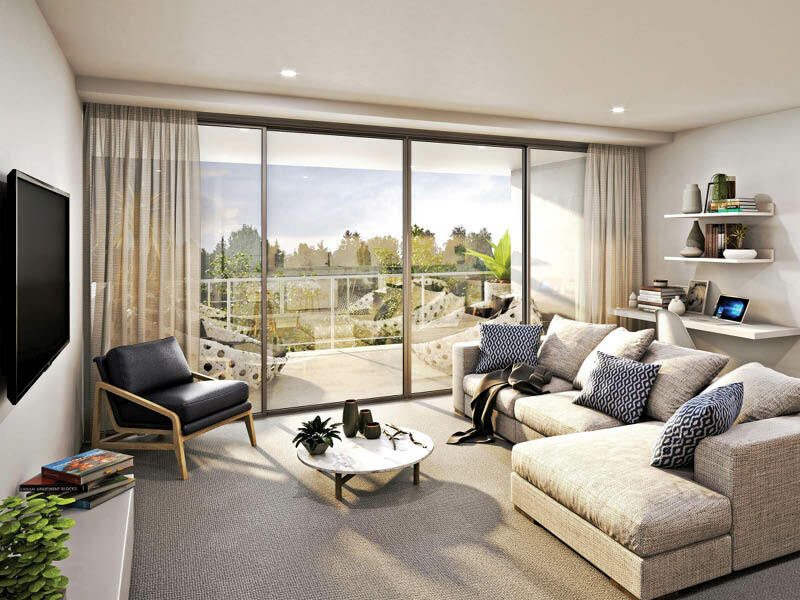 On Level 1 and Level 2, the apartments have larger balconies and terraces which extend out into landscaped gardens. Each of the three-bedroom apartments has two secure car parking spaces and the two bedrooms offer one. Air conditioning is ducted to each apartment, meaning there are no condensers taking up valuable space on the balconies. 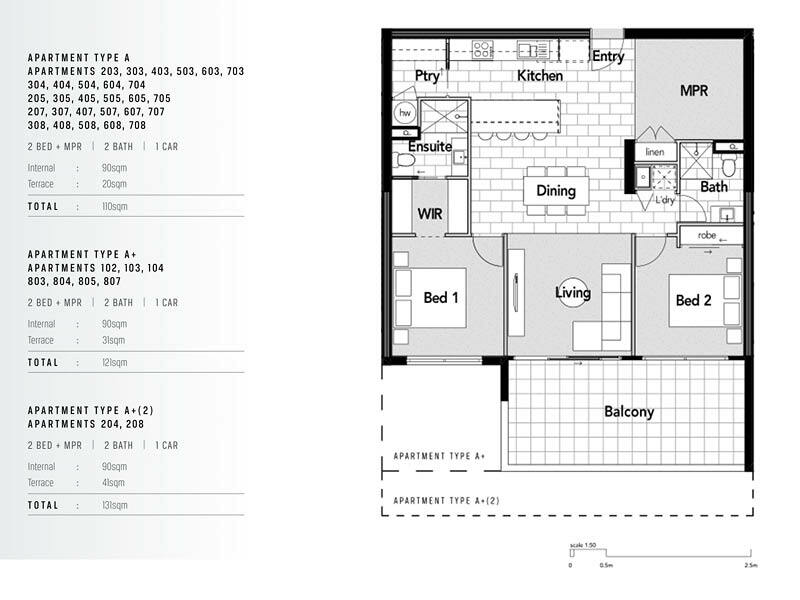 The floor plans at One Tree are all open plan and feature large kitchens. The layout of the bedrooms in quite a few of the floor plans are great for investors, as there is an excellent separation between the bedrooms. All main bedrooms offer a large walk-in wardrobe and an ensuite. All apartments also offer a separate internal laundry room. The kitchen is a feature in all apartment and includes a large kitchen island/breakfast bar. Some of the larger apartments feature a butler’s pantry, some offer an additional study nook and some feature a large bathtub in the main bathrooms — so buyers can select the features that work best for them. For additional floor plans, please enquire below. 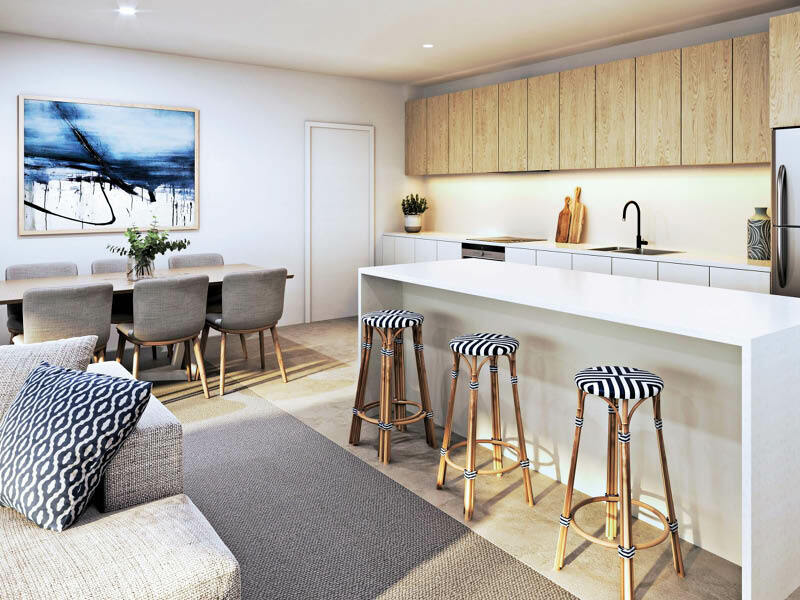 The apartments at One Tree are finished with high-end fixtures including stone benchtops in the kitchen, stainless steel appliances and floor-to-ceiling glazing in the living room. The multi-purpose rooms, living area, dining and bedrooms are finished with designer carpet and the kitchen, entry and balcony are all tiled. Three-bedroom apartments: $420 – $450 per week. Management of the property and rentals will be conducted by Habitat Property Management on-site. HabDev also guarantees any investor buying in the development market rent from the day of settlement. If the property is not rented out by this date, Habitat Property Management will pay the market rent price until the property is tenanted. 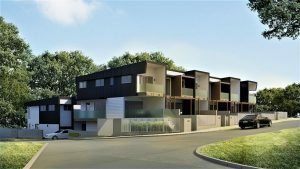 This provides an added level of security for investors, although, as rental vacancy rates in Sippy Downs currently sit at 0.5%, we doubt this would ever be necessary. Also in Sippy Downs, HabDev has started construction on two other projects — Forest Edge and Botanica. The sales release for these developments is expected in March 2019. Outside of the Sippy Downs region, there are several new developments in Birtinya, including Curve and Revive Oceanside as well as Bookarina Beach. 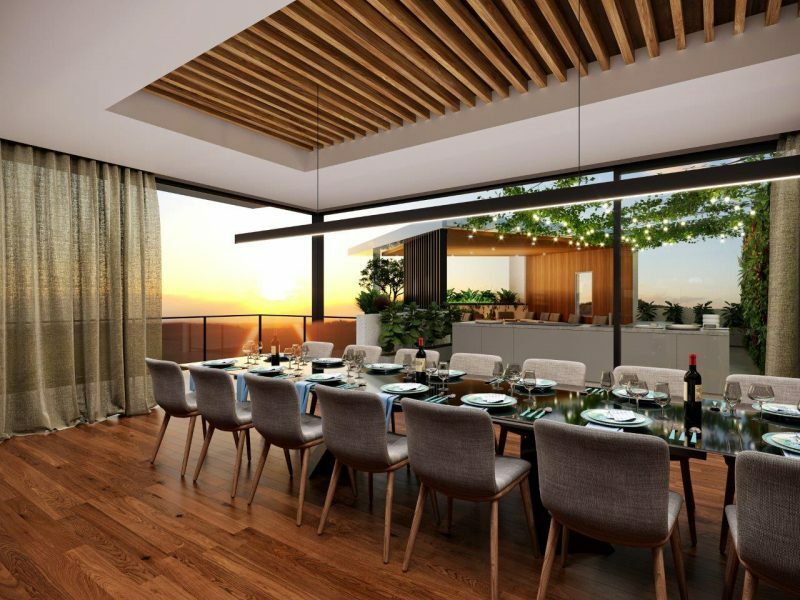 Along the Maroochy River, you’ll also find the newest project by Mosaic Property Group — Avalon. Body corporate fees for One Tree Apartments will sit between $2,730 and $3,030 depending on the apartment. One Tree Apartments are a project by Habitat Development Group (HabDev). 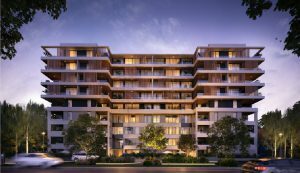 HabDev has been investing in projects on the Sunshine Coast for over a decade now and have completed several boutique apartment developments in the area. 0479 154 120Click to display phone number.